The Academic Center for Political Studies is an academic institution that is keen on academic research related to political, theoretical, methodological, and applied studies. The birth of ACPS was dictated by the drear need for dissemination and creativity in the field of academic and methodological studies in as far as political sciences are concerned. Such studies, needless to say, are a basic ingredient for deepening systematic and open awareness needed to identify and diagnose the present and future obstacles facing the Arab Nation. The fact that the West has taken giant steps in this respect makes this need more pressing; and provides us with the opportunity to explore Western experiences and studies in these arenas. There have been little efforts by Arab and Islamic scholars to transfer this specialized human knowledge into the Arab World. Therefore, institutions like ACPS assume a major, indispensable role in bridging the huge gap existent in this field. 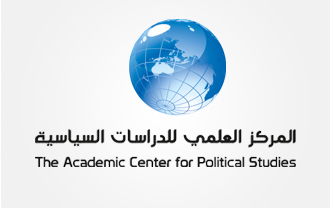 The need for specialized centers as ACPS is further strengthened by the emergence of what is referred to as the Islamic Awakening and its expanding influence in the Arab-Islamic World that has made it introduce itself as the comprehensive alternative, politically, socially, and economically. Consequently, this movement is advocating its right to lead the Arab-Islamic society. Currently, the Arab-Islamic World is in short supply of serious studies that delineate the concepts and notions related to what is known as Political Islam, which has been raised by political Islamic movements as a substitute key to the political crises and obstacles encountering the Arab-Islamic society. Thus, the need arises for specialized research agencies that can identify the concepts and views of Political Islam as well as bring the mechanisms through which it influences Arab communities under academic study. There is no doubt that the absence of relevant objective academic studies opens up wider prospects for the so-called thought intolerance. This, again, illustrates the vital need for relevant studies and research efforts. The growing international interest in the Middle East, particularly in the light of the drastic changes and developments witnessed by international policy towards the end of the 20th century, calls for academic study and follow-up of the future of the political relationship between the international community and its influencing powers on the one hand, and the Middle East and its effective local and regional forces on the other. There is also a need for formulating academic ideas, views and options in order to strike a balance between international and regional forces on the basis of justice and balance.